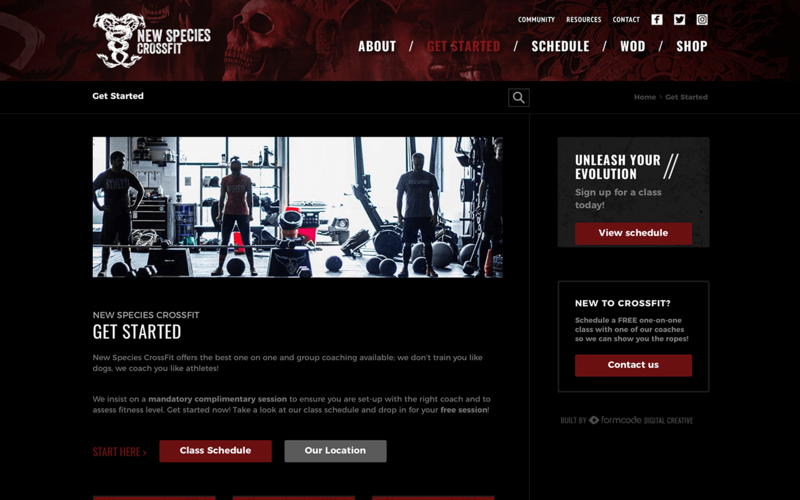 New Species CrossFit (unleashtheevolution.com), is one of if not the first CrossFit in Michigan. Their driving force is to be a stimulus inspiring our athletes and ourselves to evolve into something faster, stronger, more powerful…something better. They strive to unleash the athlete living within each one of us through their programs and community. 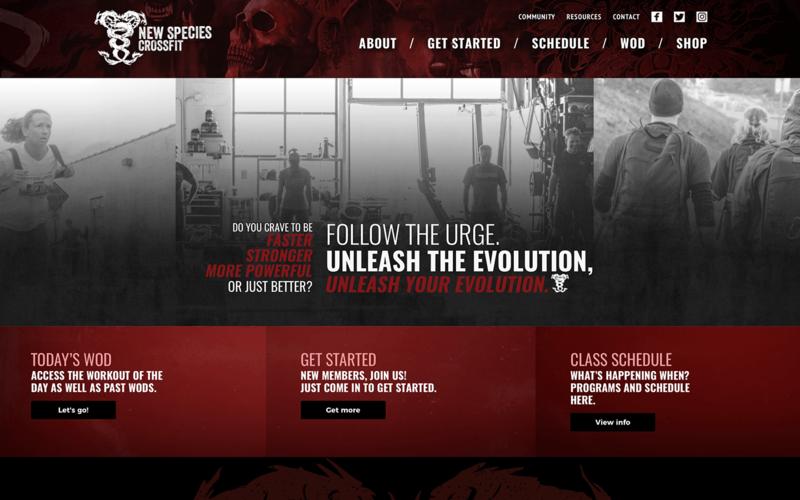 A client of ours for a number of years now, New Species was in need of a new website to reflect not only its excellence but it's new box location in Royal Oak. Our goal, appealing to newcomers to the sport as well as seasoned athletes. 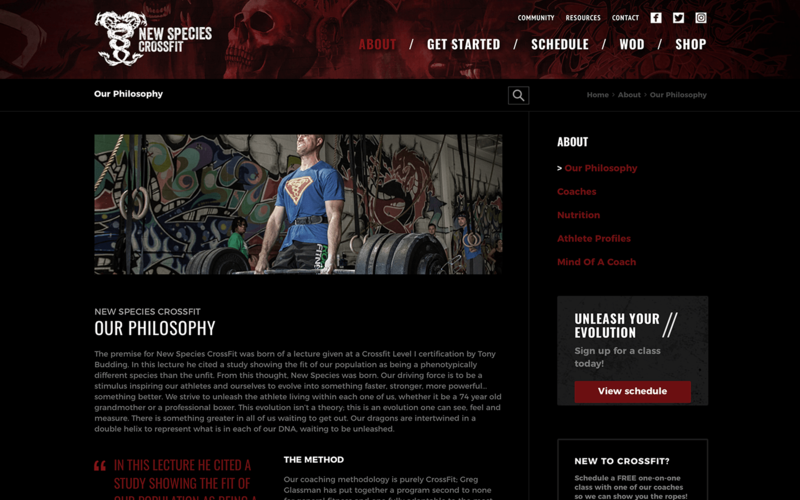 Our goal was to showcase coaches, nutrition and the golden nugget of any crossfitter, the daily WOD. The site now draws a heavy stream of visitors daily and demand is high. We are happy to be associated with New Species, we have changed their world and they have changed ours.